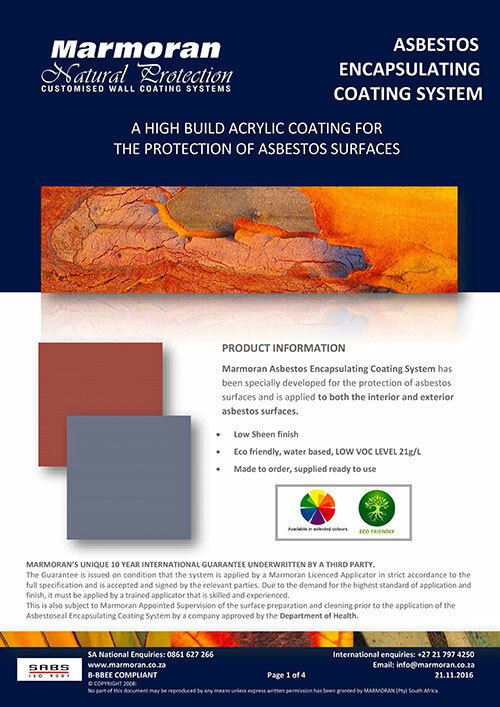 Marmoran Brushcoat is a textured acrylic topcoat designed to be used on Marmoran Plaster and Textured Coatings where the coating has been soiled or damaged. 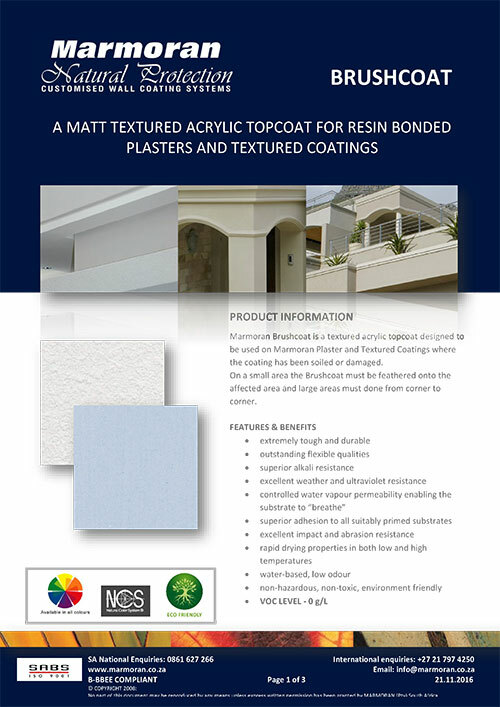 On a small area the Brushcoat must be feathered onto the affected area and large areas must done from corner to corner. 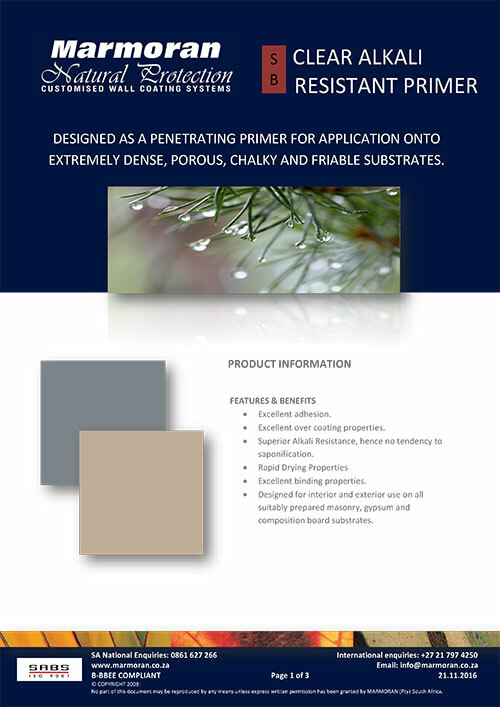 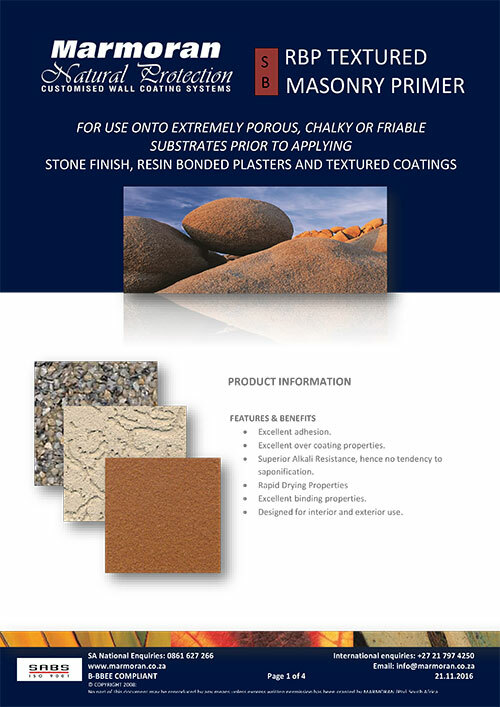 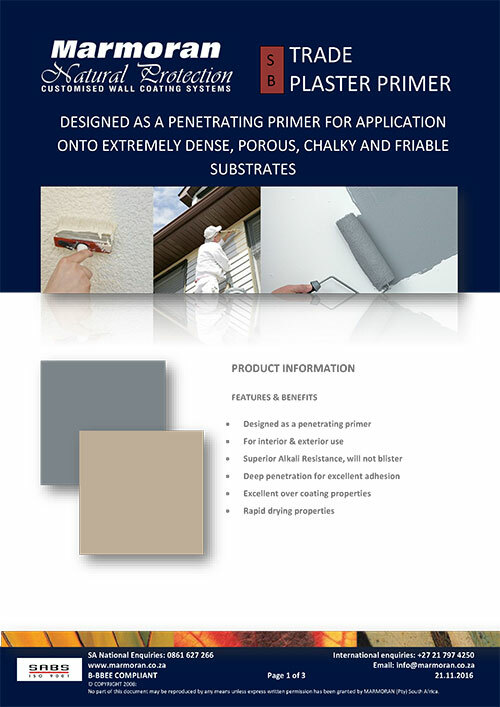 The clear alkali resistant primer is designed as a penetrating primer for application onto extremely dense, porous, chalky and friable substrates. 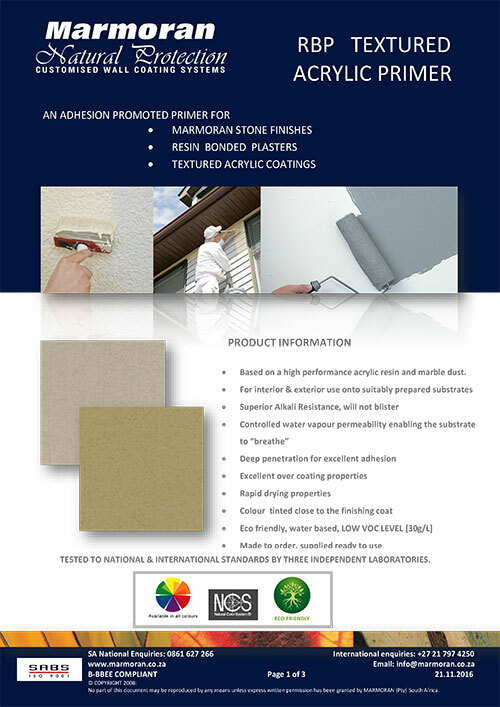 Trade plaster primer is designed as a penetrating primer for application onto extremely dense, porous, chalky and friable substrates. 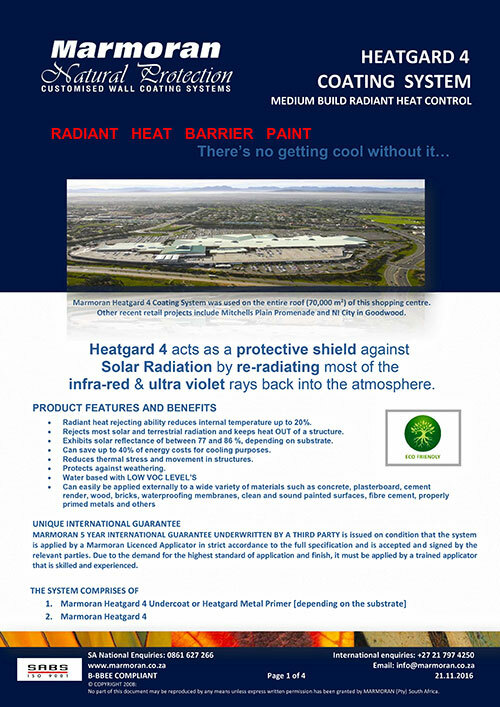 Heatgard 4 is a radiant heat barrier paint that acts as a protective shield against solar radiation by re-radiating most of the infra-red & ultra violet rays back into the atmosphere. 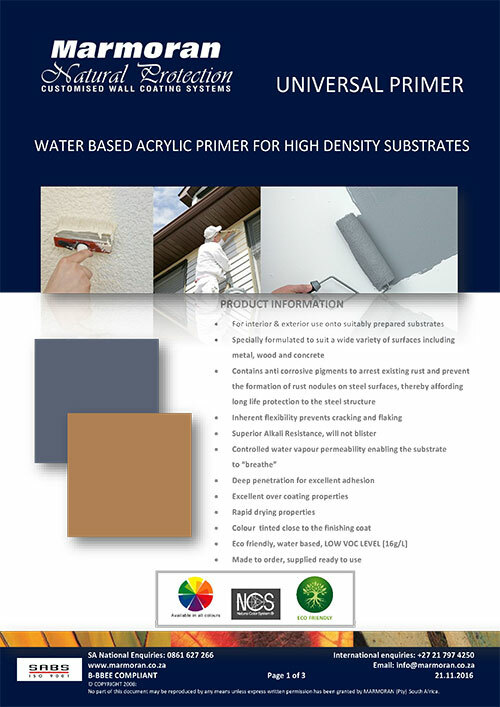 Smooth water based alkali resistant acrylic primer. 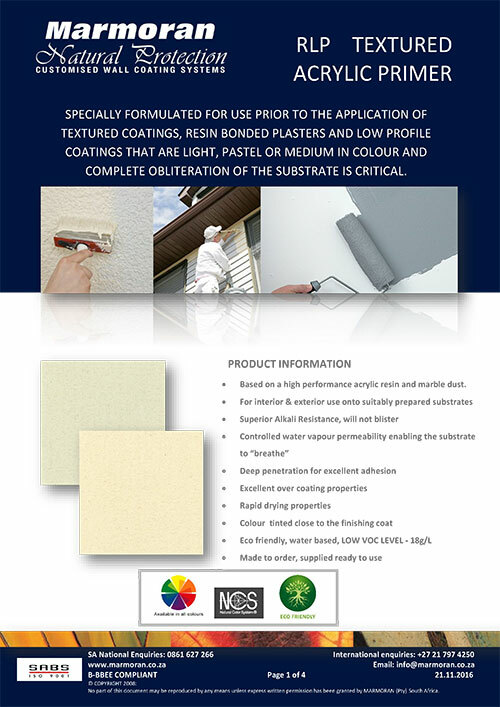 The Asbestos Encapsulating Coating System is a high build acrylic coating for the protection of asbestos surfaces. 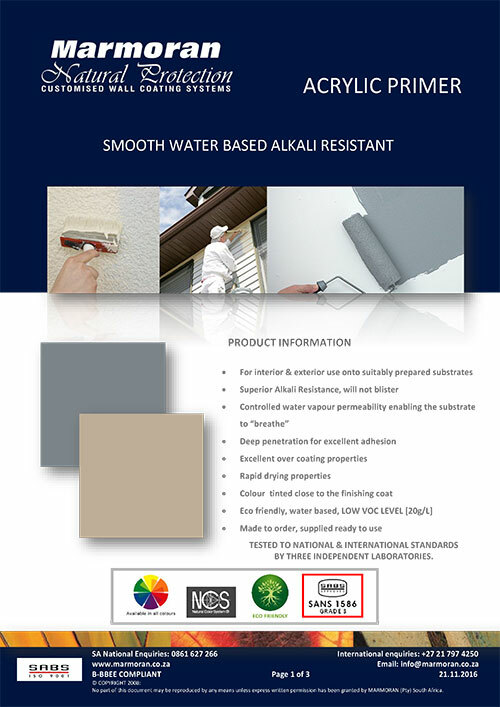 It has been specially developed for the protection of asbestos surfaces and is applied to both the interior and exterior asbestos surfaces.